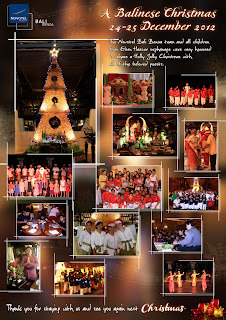 News and updates from Novotel Bali Benoa. Christmas !! This word is so special to everyone and including us, staffs and management team of Novotel Bali Benoa. Santa Claus is around with presents for every children. From Christmas lighting tree day, which is the 20th of December to Christmas day on the 25th of December there are various programs designed by the resort's Guest Activities Department team. Children from Eben Haezer orphanage Denpasar also takes part. They are pleased to spend a full day of fun swimming and enjoying lunch at the resort. During Christmas Eve, all of our beautiful guests are able to enjoy the orphanage's children beautiful voice singing Christmas songs. Special Christmas Eve dinner is also well prepared by our Executive Chef. There are ginger bread house, colorful pastries, chocolates and many more is served to cherish this beautiful moment. 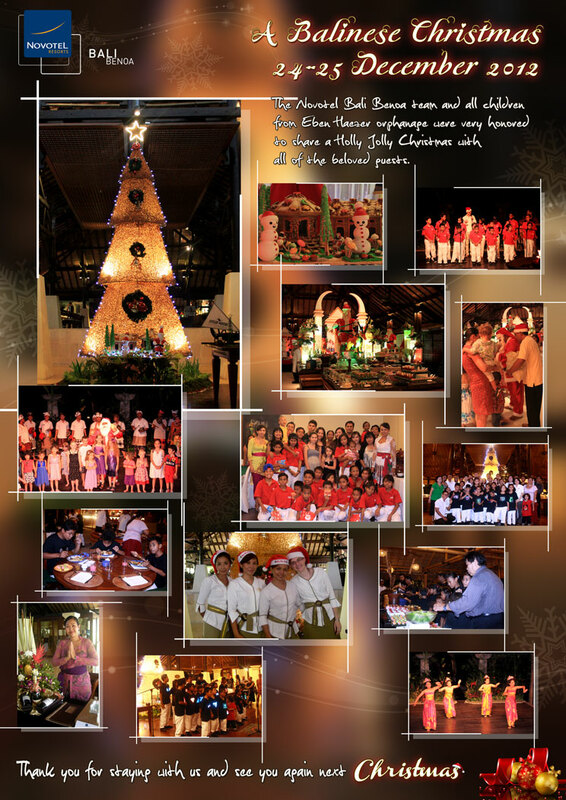 All staff and management team of Novotel Bali Benoa is wishing you a very merry Christmas.